What is an Uncontested Divorce in New York? An Uncontested Divorce in NY is a process where the parties agree on the terms of the divorce and have no desire to appear in Court and fight over the details of the division of marital property and the issues related to their children, simplifying the entire divorce process. What is No-Fault Divorce in New York? No-Fault Divorce in NY, is a divorce where the parties agree that the relationship of the parties has become irretrievably broken for a period of at least six (6) months, and this fact serves as grounds for the divorce under Domestic Relations Law §170(7). The law requires that the parties have an agreement on the terms of the divorce before no-fault grounds may be used. What is an Uncontested Divorce Agreement in New York? An uncontested divorce agreement is a document that is signed by both parties to the divorce that resolves all of the issues of the marriage including, division of marital property, maintenance, child custody, visitation, and child support that is signed by both parties of the divorce. The agreement needs to be signed in front of a notary in the same manner that a deed is signed and recorded. Are you Eligible to file for an Uncontested Divorce in New York? What are the Residency Requirements for Filing an Uncontested Divorce in New York? What are the Grounds for getting an Uncontested Divorce in New York? Do you have an Agreement that Resolves all the issues of the Marriage? Most people seeking an Uncontested Divorce in NY have negotiated a basic agreement with their spouse regarding Custody, Visitation, Child Support, Maintenance and the Division of Marital Assets and Marital Debts. 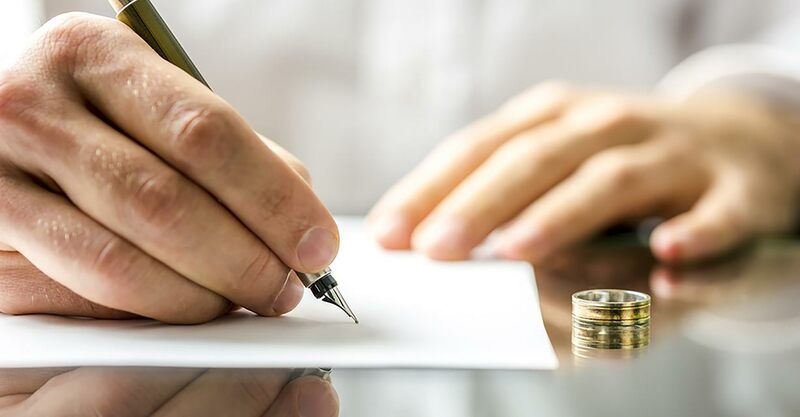 So long as you have a basic verbal agreement with your spouse you may proceed with the uncontested divorce, however the agreement will need to be set forth in writting and signed in a manner that is acceptable to the Court under New York State Law. In addition, sometimes the parties have orders from Family Court that set forth the terms for Custody, Visitation and Child support. These family Court orders need to be incorporated into the divorce, or modified in the divorce if changes are requested to them. How to decide on the Terms of an Uncontested Divorce in New York? Deciding Child Custody in an Uncontested Divorce in New York. Sole Custody: The children primarily reside with one parent and that parent makes all the decisions related to health, education, religion, and welfare of the children. Joint Custody/Primary Residential Parent: The children primarily reside with one parent but decisions related to health, education, religion, and welfare of the children are decided by both parents together. Joint Custody: The parents split physical custody and decisions related to health, education, religion, and welfare of the children are decided by both parents together. Deciding Child Visitation or Custodial Access in an Uncontested Divorce in New York. The best access schedule is the one that is appropriate based on the circumstances of the parties. If you are looking for a flexible schedule, and the custodial and non-custodial parent are able to get along, you can keep the schedule simple and flexible by agreeing that visitation will take place as the parties agree. The problem with this schedule is that you may wind up in Court again to set a specific schedule because one of the parties refuses to agree. If the custodial and non-custodial parent are unable to get along, or if the parents would rather have a set schedule to avoid conflict, they may want to set a specific visitation schedule. A common schedule is for the non-custodial parent to have custodial access on alternating weekends from Friday evening through Sunday evening, a weeknight for a few hours every week, alternate major holidays, split the child's winter and spring breaks from school, and each party to receive two to four uninterrupted weeks in the summer, fathers day, and mothers day. The problem with this schedule is the lack of flexibility. If parents live far apart and regular weekend visitation is not practical, it is common to allocate more summer vacation and school holidays to the non-custodial parent so that the child will spend substantial uninterrupted time with the non-custodial parent. In the end, the schedule can be virtually anything that the parties agree, and as flexible as the parties wish. Deciding the Child Support Payment in an Uncontested Divorce in New York? The Child Support payable in New York State can be very complicated to calculate, (use the NY Child Support Calculator), and is usually paid by the non-custodial parent to the custodial parent for the support of the children. The "Custodial Parent" of a child, is the parent that has the child for a majority of the overnights during the year. It is not based on legal custody or decision-making power. If the parents have an equal number of overnights, the party with the lower income is deemed to be the "custodial parent" see Leonard v Leonard (4th dept),2013 NY Slip Op 04916 [109 AD3d 126], Rubin v Della Salla (1st Dept), 2013 NY Slip Op 02681 [107 AD3d 60]. The amount payable is governed by the Child Support Standards Act (CSSA) of the State of New York. The CSSA takes into account the gross incomes of both parents, and the appropriate deductions for the Federal Insurance Contributions Act (FICA), or SECA (if self-employed). There may be other deductions for maintenance paid, and city taxes. The CSSA currently contemplates the first one-hundred and forty-eight thousand dollars of combined parental income. Income is based on the most recent income tax return. There are also other deductions besides FICA that include the New York City Tax and Yonkers Tax. The non-custodial parent's annual "basic child support obligation" is generally calculated by multiplying the non-custodial parent's "percentage of combined gross income", by the combined gross incomes of the parents, less: the non-cusodial parent's annual payment to FICA (usually .0765 of gross income), multiplied by the appropriate "child support percentage". A parent's "percentage of combined gross income" = the parent's gross income divided by the combined gross incomes of both parents. Child support stops when a child reaches the age of 21 or is earlier emancipated. The parents may agree to support their children beyond the age of 21, for example, until the children graduate from college. In addition to the payment of the "basic child support" obligation, typically the agreement provides that one parent will be responsible for providing healthcare insurance for the children so long as it is available through his or her employment. Usually each parent will also be responsible for paying their pro-rata share of the children's uninsured medical and dental costs. The pro-rata share is equal to the parent's percentage of combined gross income. Often the parent's also agree to pay their pro-rata share of the childcare expenses incurred while the custodial parent is working or attending school. The pro-rata share is equal to the parent's percentage of combined gross income. The non-custodial parent may also agree to purchases a life insurance policy on his or her life, naming the custodial parent or the children as irrevocable beneficiaries, to secure future support payments. The parents are free to Opt-Out of the CSSA and agree to pay more or less than the required payment under the CSSA, however, any agreement must set forth the amount that is supposed to be paid pursuant to the CSSA, and the reasons for deviating from the formula. Deciding the Spousal Maintenance Payment in an Uncontested Divorce in New York? Maintenance is generally awarded to a spouse for the purpose of encouraging economic independence from the other spouse. The amount and duration of maintenance can be calculated using the NY Maintenance Calculator, however, people that are seeking an uncontested divorce usually have already decided how much maintenance is to be paid, if any, and are generally allowed by the Court to do so. Maintenance is common when there is a significant disparity between the income of the parties. It is less common when each party is capable of self-support, or neither party makes enough money to reasonably make the payment. The payment of maintenance sometimes causes animosity between the parties because one party thinks they deserve it and the other does not. This is less likely, however, when one party will be doing most of the child rearing and is unable to work full time, or both parties agree that one parent should stay home with the children. Deciding How to Divide Marital Property in an Uncontested Divorce in New York? Domestic Relations Law defines the term "marital property" to mean all property acquired by either or both spouses during the marriage and before the execution of a separation agreement or the commencement of a matrimonial action, regardless of the form in which title is held, except as otherwise provided in an agreement (prenuptial or postnuptial agreement), or that which is Separate Property. Basically, any property that is earned or acquired during the course of the marriage is marital property. This may include the marital residence, vehicles, retirement accounts, bank accounts, stocks, bonds, mutual funds, interests in businesses, and other items of property acquired during the marriage. Professional licenses, and college & advanced degrees are no longer considered marital property because of legislation passed in 2016. Property may be divided in any manner the parties agree in an Uncontested Divorce in NY so long as it is fair under the circumstances. Deciding How to Divide Marital Debts in an Uncontested Divorce in New York? Marital Debts may be divided in any manner the parties agree in an Uncontested Divorce in NY so long as it is fair under the circumstances. Marital Debts are debts that either party incurred during the marriage regardless of whether the debt is a joint debt. Sometimes married people may choose to file a Joint Bankruptcy before they are divorced to get rid of debt. If you want to get started right now with your uncontested divorce I suggest you contact me at 716-656-7676 or fill out the form for a Free Consultation or view the Frequently Asked Questions (FAQ) to find out the step-by-step procedure for filing your NY Uncontested Divorce.